There’s an unmissable, giant new visitor coming to Aylesbury town centre as part of the fantastic celebrations for this year’s WhizzFizzFest, Aylesbury’s much-loved children’s literary and arts festival on Saturday 22 June, and your help is needed to name this larger-than-life addition. Standing at five metres tall, two metres wide, and made from a combination of metal, wood and assorted textiles, festival goers won’t be able to miss Festive Road's incredible, mechanically-powered giant puppet. The Giant will be attending in prime position next to Aylesbury Market Square’s clock tower and will be overseeing all the day’s fantastic activities, as well as the festival’s ever-popular parade. All the festival’s new friend is missing is a name! 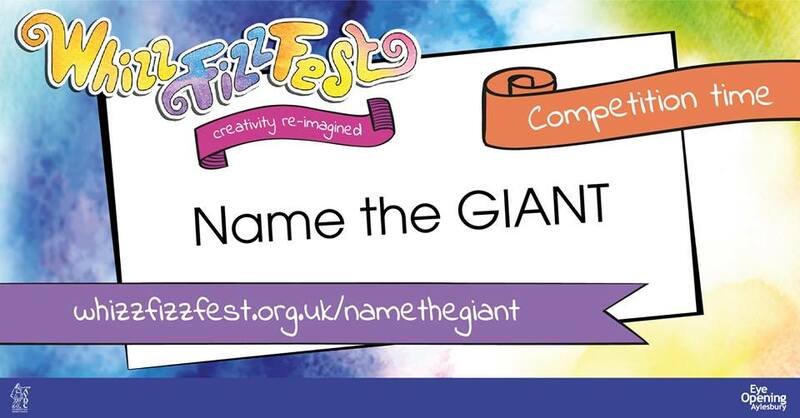 Throughout April, WhizzFizzFest is running a ‘Name the Giant’ online competition, inviting all WhizzFizzFest enthusiasts to send in their name suggestions. The prize draw is open to everyone and there is no restriction on the number of entries that can be made, meaning it’s the perfect opportunity to get imaginative and creative. But of course, what’s a competition without some fantastic prizes? The winner will not only receive a family ticket to Gulliver’s Land Milton Keynes, but will also see their suggested name included on the Giant for all to see, and join the creators behind the scenes on the big day. The competition closes on Tuesday 30 April with the winner being chosen and notified on Friday 3 May. For more information and to enter the competition, follow @WhizzFizzFest on Facebook, Twitter and Instagram, or alternatively take a look at the WhizzFizzFest Name the Giant competition page.